Useful for : Kings, ministers, writers and orators. Wearer of this Rudraksha becomes contended and satisfied for the whole life. This Rudraksha is related to Seven Seas The person who wears this Rudraksha after proper Sidhhi ( method of purification & charging with Mantra) will remain contented like the seven seas. He does not desire for more and runs each and every work in his available resources. This Rudraksha provides such an immense knowledge to the wearer that he proves incomparable in group discussions in the meeting. he remains firm on his wordings and speaks always the Truth. Seven faced Rudraksha is the symbol of Anang Shiva. 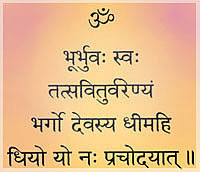 Seven faced Rudraksha is saptmatradhi Daivat, saptashyadevat and saptmuni Daivat. It represents Goddess Mahalaxmi. Good health and wealth is blesses to him who wears Seven Faced Rudraksha. Those who are suffering from miseries pertaining to body, finance and mental set-up should wear it. By wearing seven face Rudraksha man can progress in business and service and spend his life happily. Seven Mukhi Rudraksha can be weared in a red thread. 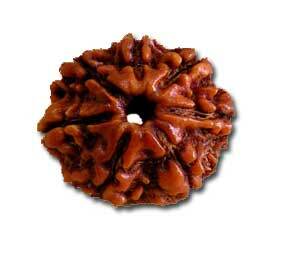 Seven Mukhi Rudraksha may be worn on a regular basis. There is no taboo written in authentic Puranas to be followed while wearing them. They have a life of thousand years if well taken care of. They should be preserved in a locker or at some safe place since they are considered as very valuable.